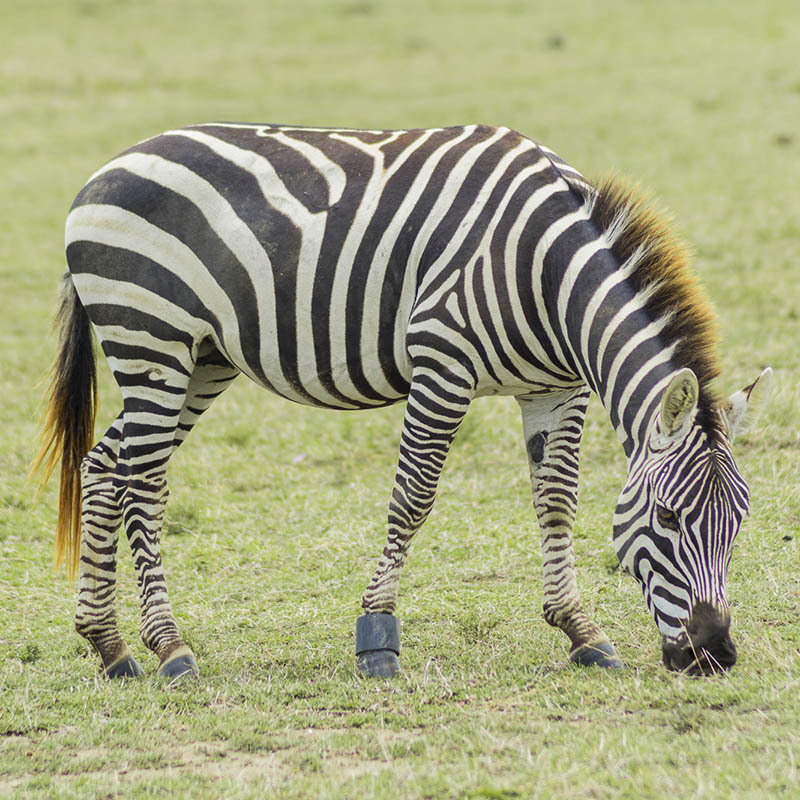 Our 5 Day Kenya Safari visits Ol Pejeta Conservancy where you get the chance to view the rare Northern White Rhino, Southern White Rhino, Black Rhino, the Chimpanzee, our closest relatives, the Reticulated Giraffe and the Grevy’s Zebra. 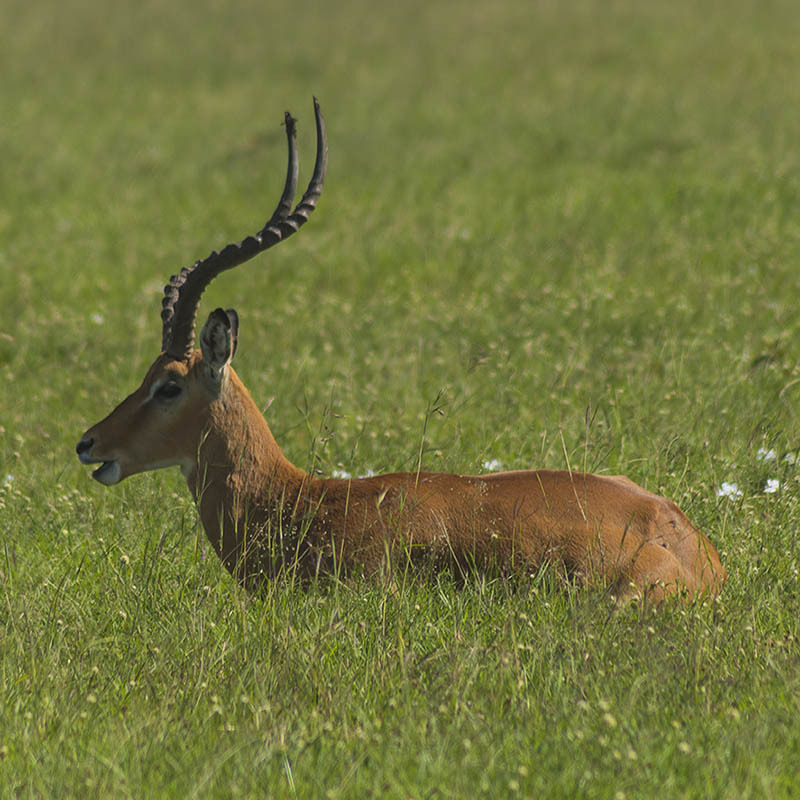 Other resident wildlife include Lion, Buffalo, Elephants, Gazelles, Impalas among others. 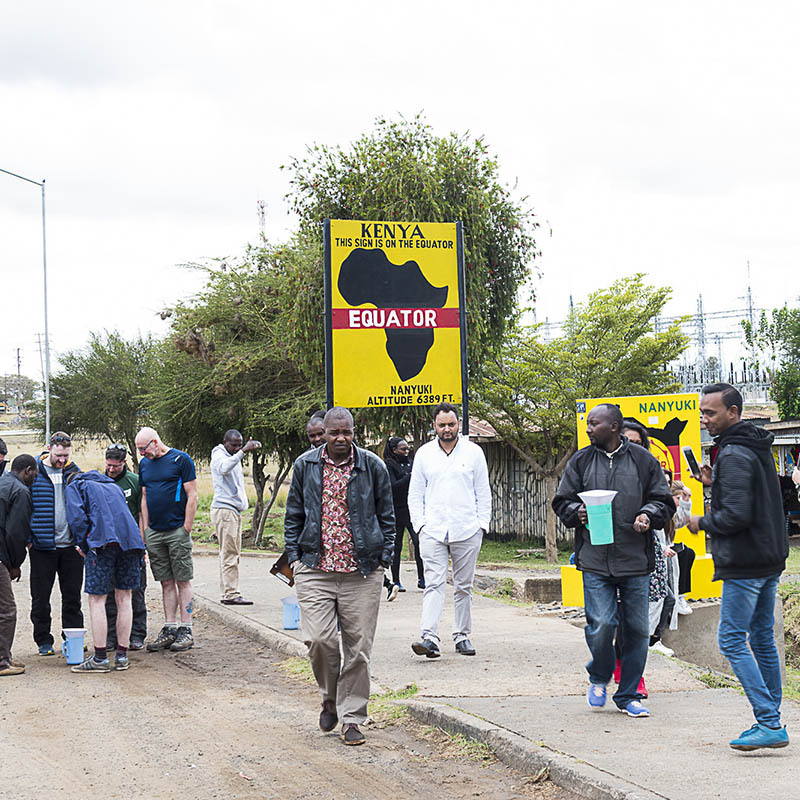 Tour Proceeds to the fresh water lake in the Great Rift Valley, Lake Naivasha for a boat ride with sightings of different birds present at the lake. 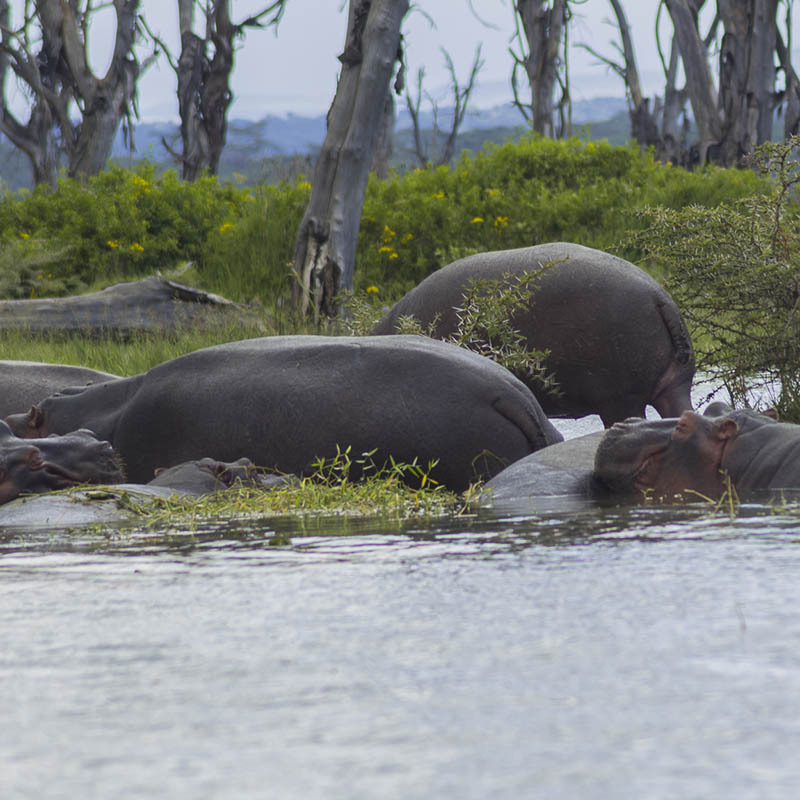 Hippopotamus can also be seen among other grazers like Common Waterbuck, Impala, Zebra and Giraffe. We finalize our tour in the Great Masai Mara where we have the opportunity to view the big five; Lion, Elephant, Rhino, Leopard and Buffalo. 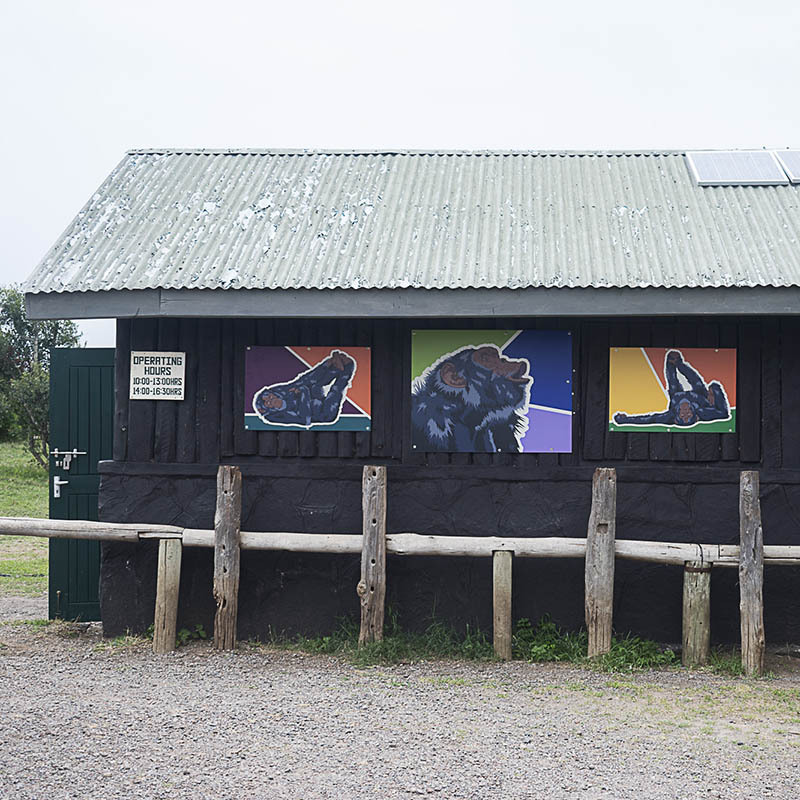 Ol Pejeta Conservancy is situated in the equator, between the foothills of Aberdares and Mount Kenya. 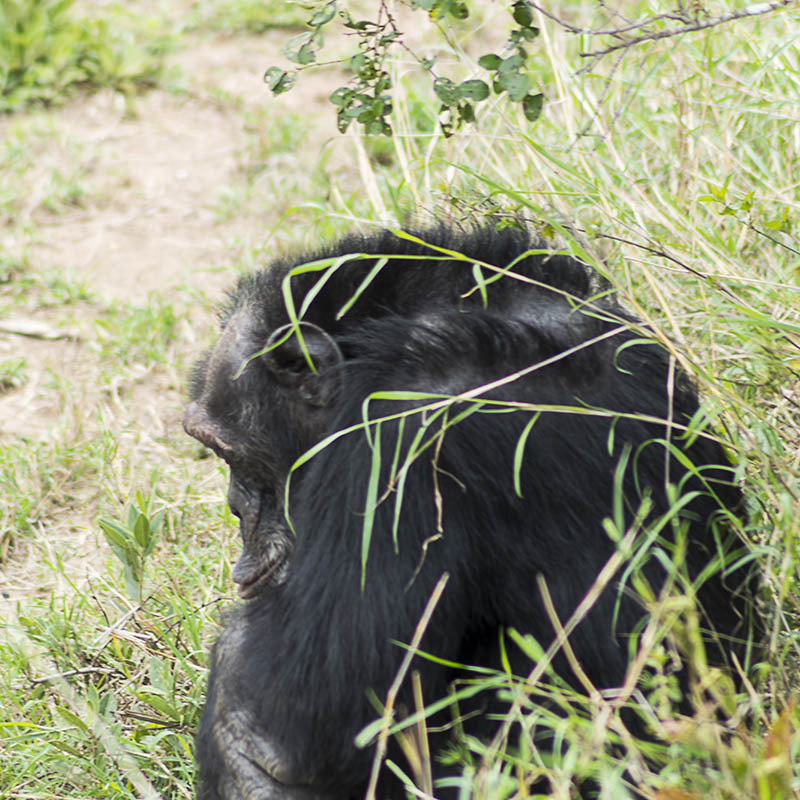 Ol Pejeta is the only conservancy in Kenya where you can see Chimpanzee in their natural habitat. 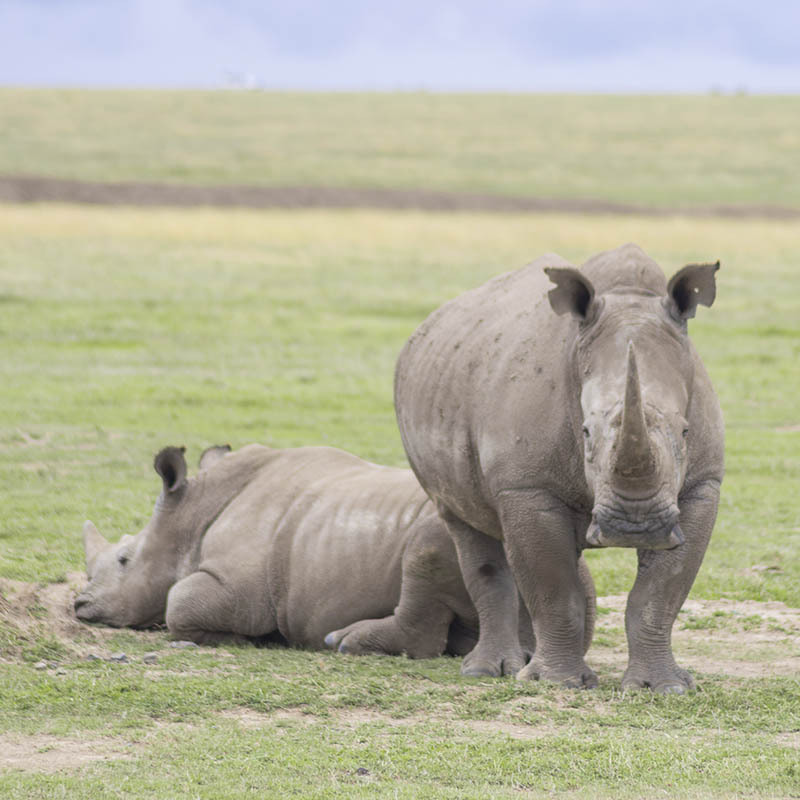 You can also visit the Rhino Sanctuary to see the rare Northern White Rhino, the Southern White Rhino and the Black Rhino. 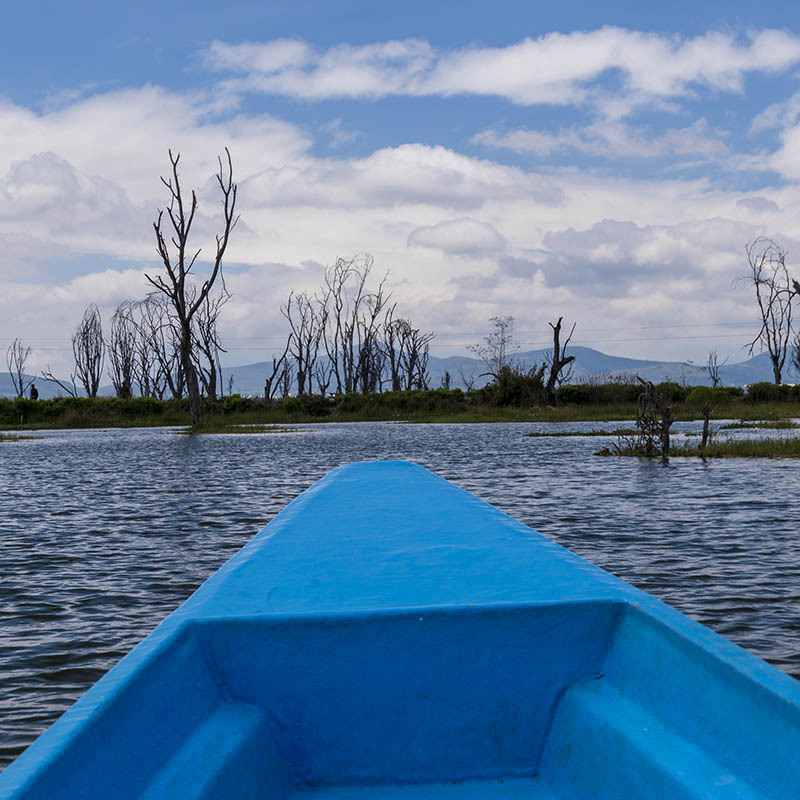 Lake Naivasha is the only fresh water lake at the Great Rift Valley, here you get to enjoy a boat ride and view vast birdlife and hippopotamus. 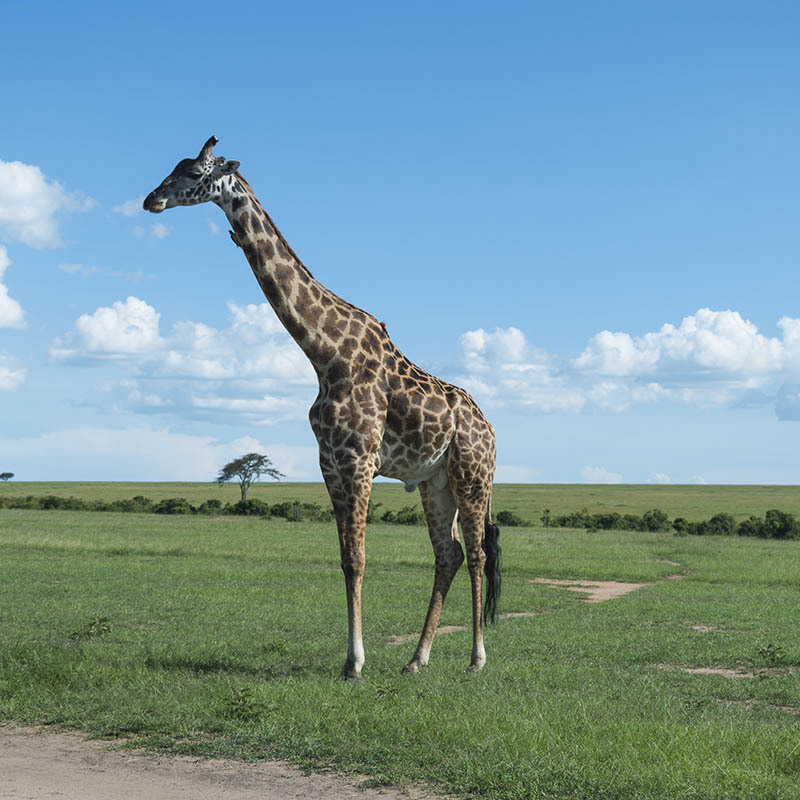 Masai Mara Game Reserve is Kenya’s popular tourist attraction because of its highest wildlife concentration per kilometer, Big Five and yearly wildebeest migration. Attractions at Masai Mara Game Reserve; the Mara River Hosts Hippopotamus and Nile Crocodiles – this is where the annual wildebeest migration happens, Masaai Tribe colorful and one of the tribe that has preserved its culture for centuries, Landscape the grassland is dotted with hundreds of studded trees and that’s the meaning of “Mara”. 0730 Hrs pick up at your residence/hotel and depart for Ol Pejeta Conservancy. Arrive at Ol Pejeta Conservancy in time for lunch and relax for the afternoon game drive. A visit to the Chimpanzee Sanctuary shall follow where we learn about the Chimpanzee and their history. Overnight stay at a lodge/camp within Ol Pejeta. We shall have a stop at the Thomson’s Falls scenic waterfall on the Ewaso Ng’iro river, a few Kilometres from Lake Ol Bolossat, which drains from the Aberdare Mountain Range. 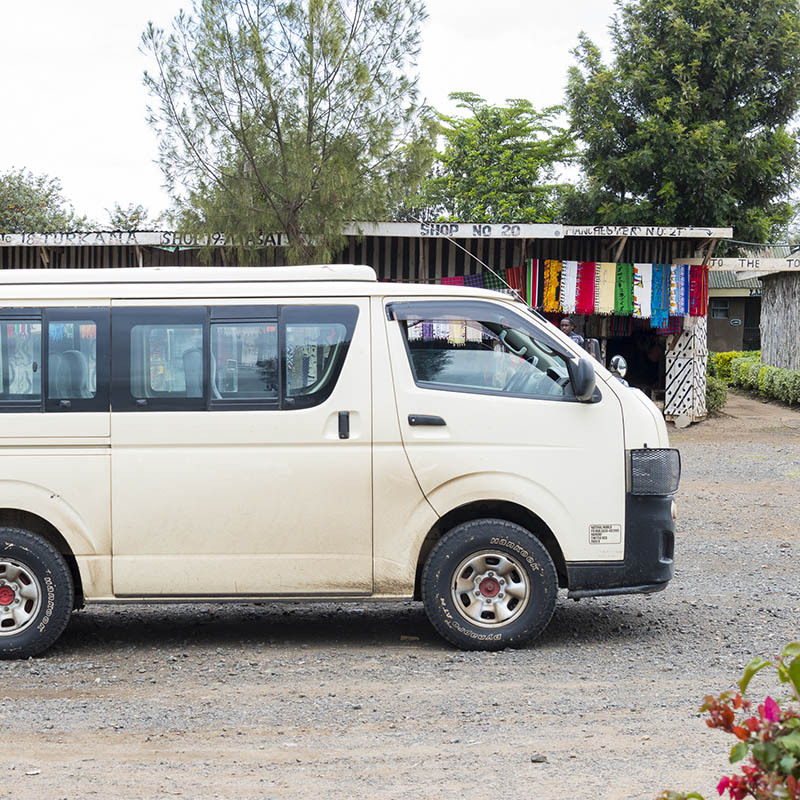 Proceed to Lake Naivasha, arrive in time for hot lunch at one of the Lodges near the lake. Afternoon boat ride at the lake with awesome views of the landscape with possible sighting of the Mt. Longonot. 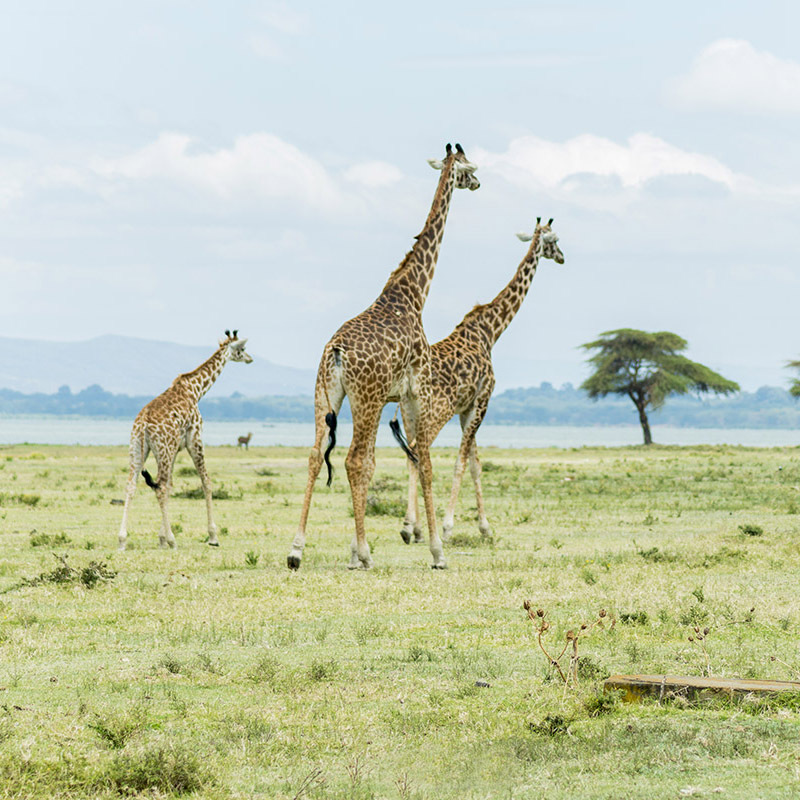 Lake Naivasha is a fresh water lake in the Rift Valley with lots of birds, hippopotamus and grazers; Giraffe, Common Waterbuck, Impala, Zebra and Buffalo. Overnight stay at a lodge/camp within Lake Naivasha. 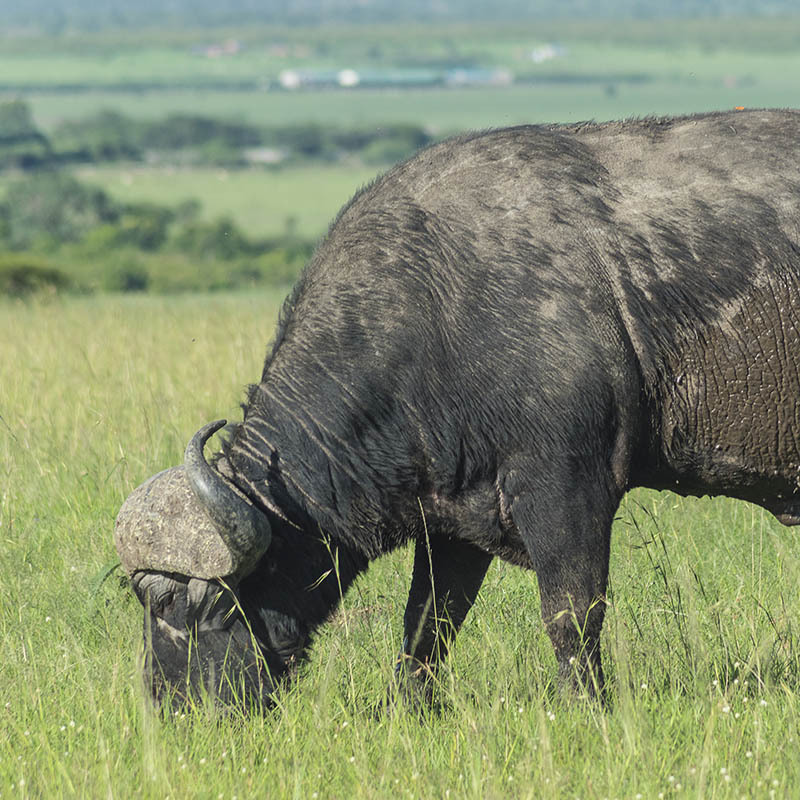 After breakfast, proceed to the great Masai Mara Game Reserve for the Big Five; Lion, Elephant, Rhino, Leopard and Buffalo. Arrive at Masai Mara for lunch at one of the lodges/camps within the Mara. 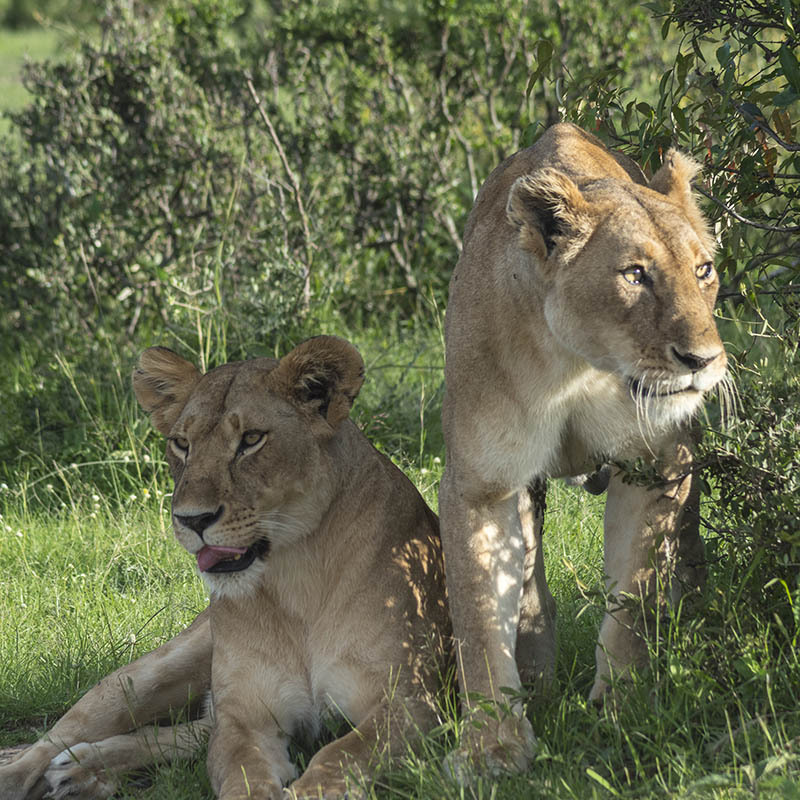 Masai Mara is known for high concentration of wildlife and the annual wildebeest migration. Afternoon wildlife viewing drive is scheduled where we search for the predators and grazers. Overnight stay at a lodge/camp within Masai Mara. We leave the camp/lodge with our picnic lunch and head for a full day game drive. You shall enjoy views of the dotted landscape of the Mara plains and vast wildlife the reserve has to offer. A visit the Mara River where Crocodiles and Hippopotamus are present and can be seen basking on the river banks. We will enjoy our picnic lunch near the Mara River while enjoying the scenic views of Masai Mara. Continue with our afternoon game viewing drive till 18:00. Overnight stay at your lodge/camp within Masai Mara. After breakfast, we check out the lodge/camp and go for a morning game viewing drive as we exit the park. Arrive at Nairobi late afternoon and drop you to your Nairobi hotel/residence or airport. Service of a English speaking professional driver/guide. Transport in a safari mini van with pop-up roof. Bottled drinking water on safari.